Organising a funeral can be an emotional experience for anyone involved, particularly as you try to commemorate the memory of the departed in a respectful and tasteful manner. 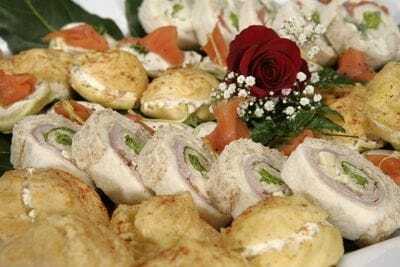 As well known and experienced funeral caterers, Not Now James Catering can provide culinary solutions that are befitting of the occasion and will make the guests in attendance feel comfortable and at ease. As one of Manawatu's favourite funeral catering companies, we will provide you with the care and understanding you need. 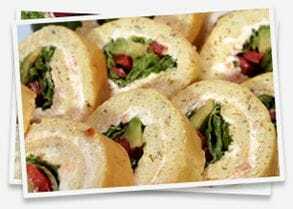 We realise that families simply want a company that will provide high quality food without any hassle and when you hire us, that is what you'll get. We can provide you with advice in relation to menu choice, and then once you have made a decision you can trust us to take care of the rest allowing you to focus on the important things, such as spending time with your loved ones. Every funeral is different, so we can tailor the menu to suit the nature of the occasion. If you are looking for Palmerson North-based funeral caterers, call us today on 0274 435 172 we can assist you, no matter what your needs. Click here to view all food galleries.